The Sheffield Island Lighthouse is owned by the Norwalk Seaport Association, the organization that runs the Norwalk Oyster Festival. Dotting the Connecticut coastline and up the coast of New England through the farthest corner of Maine are reminders of the northeast's maritime heritage. 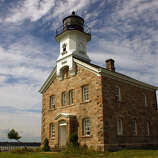 Nearly 200 lighthouses still stand sentinel in Long Island Sound and the Atlantic Ocean. Many were decommissioned by the United States Coast Guard decades ago and are now the property of the municipalities or states in which they are located. 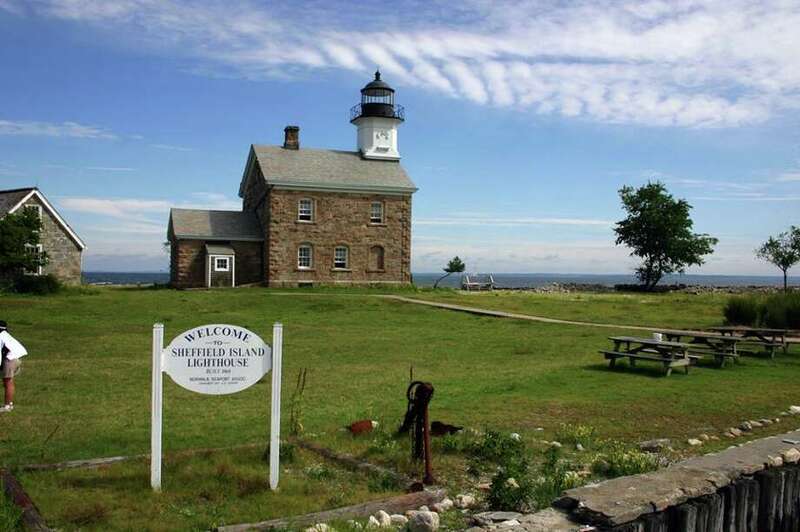 Some are privately owned, although in some cases those owners allow public access, and that's great news to those for whom lighthouses hold special appeal. "Lighthouses are full of nautical history and scenic beauty," said Christina Stevens, trustee of the privately-owned Wings Neck Lighthouse on Cape Cod near Pocasset in Massachusetts, one of four lighthouses with overnight accommodations in that state, according to the website www.cyberlights.com. The Wings Neck Lighthouse was decommissioned in the 1940s and was later sold. Stevens rents out the entire lighthouse keeper's house by the week during the summer season and for shorter off-season stays. Most of the income goes back into maintenance. There is limited availability left for this summer. Some people book their stays a year in advance, she said. It is worth the stay. While some lighthouses are remote, this one does not require a boat to access. It is only about two miles from the town of Pocasset where visitors can shop in upscale boutiques, play miniature golf, go whale-watching. "It's all right nearby," Stevens said. This lighthouse is surrounded on three sides by water and has a private beach. "You're feet from the water on all three sides. It's very peaceful. The peacefulness, the sense of history, the views of the vast ocean; it's beautiful but powerful," Stevens said. The Wings Neck Lighthouse is a "turnkey" place strictly for pleasure whereas some lighthouses allow overnight guests a more rustic experience and a taste of the actual work done by a lighthouse keeper. At Rose Island Lighthouse in Newport, RI, visitors will feel like they've gone back in time, said Andrea McHugh, marketing communications manager for Discover Newport. "It's a week-long experience where you serve as the lighthouse keeper. You check the lens every day, you listen to marine weather reports. You begin your duties by raising the American Flag and then bring it in at sunset," McHugh said. Other duties include recording the wind-powered electric system to make sure the turbine is set and check the rain water collection unit. "It's very eco-friendly out there," she said. They also handle the honor system landing fees and gift shop sales. The Rose Island Lighthouse is only accessible by boat. People can travel there by their own watercraft or take the Jamestown-Newport ferry. One of the most popular lighthouses in New England is the Pemaquid Point Lighthouse in Bristol, Maine. It was commissioned by President John Quincy Adams in 1827, and, according to its website, has the Fisherman's Museum on the first floor in the Keepers House. The second floor apartment can be rented. As the website www.lighthousefriends.com says: "Pemaquid Point Lighthouse is the only place in the United States where you can tour Maine's first land-based lighthouse opened to the public, get married, spend your honeymoon, and pay for it all using the only U.S. money ever to bear the image of a lighthouse—Maine's official quarter featuring Pemaquid Point Lighthouse."